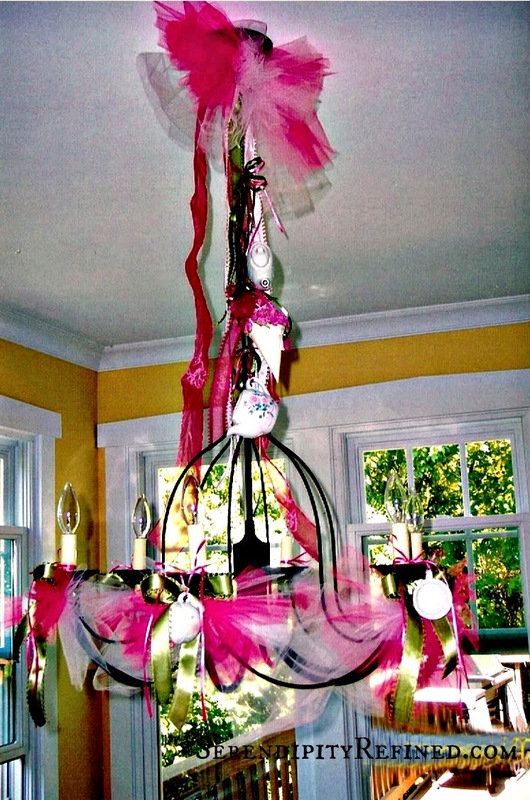 Given that I live in a house full of men, I don't often have the opportunity to have many parties that are girly. Fortunately for me, I've been blessed to have close girlfriends who have allowed me to stage, decorate, and host parties for their daughters. As spring approaches, particularly in the month of May, we're given several opportunities to celebrate the special ladies in our lives. Moms, girlfriends, sisters, daughters. Spring is my favorite time for "girl parties" The party that I'm sharing today was for Anne (whose birthday happens to be next week). Anne's mom, my dear friend Leslie, was one of those girlfriends who was a true southern lady. She was a thoughtful gift giver who had a wicked-good sense of humor, boundless energy and just enough "hoarder tendencies" to make us instant friends. Once we found eachother, she was the friend who, for me, was always finding ways to allow me opportunities to stage and decorate her home and to create vignettes, mantles and planters until finally, one day, I realized that these things are my passion. This party was no exception. 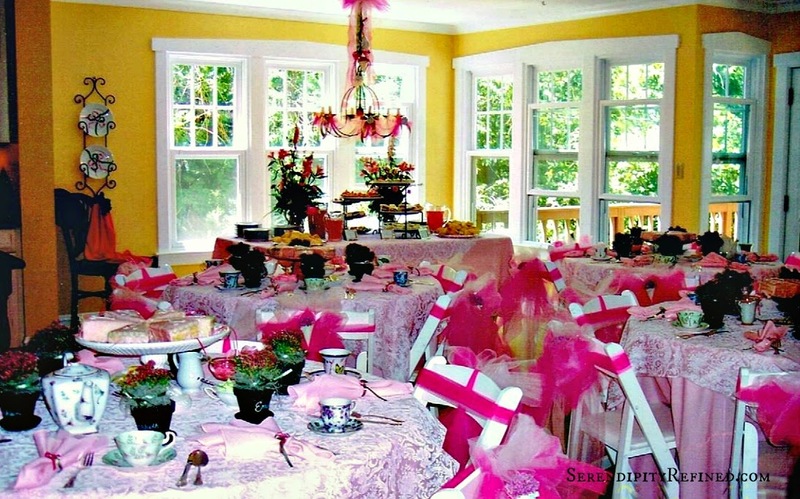 Anne's sweet 16 tea party was pink and green perfection. 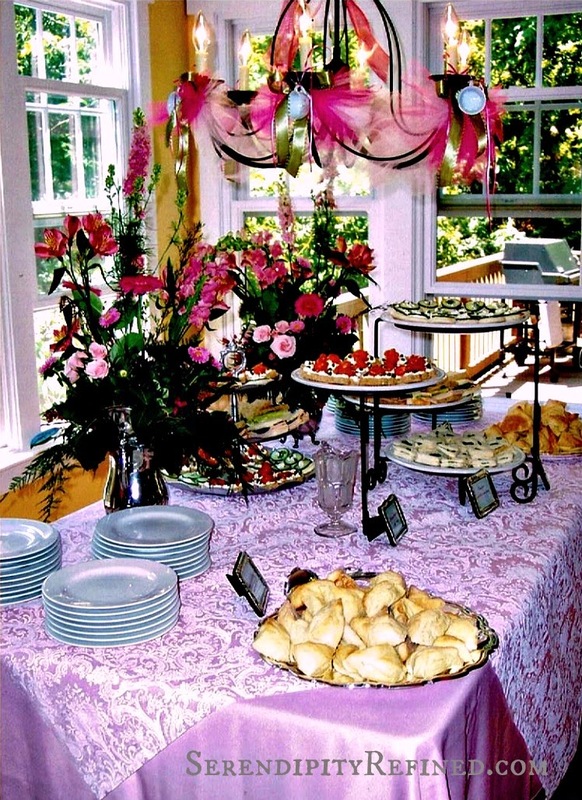 The tables, chairs and pink linens were rented. The white "lace" table covers were printed fabric that was like interfacing which provided us with a cost effective way to have "lace" toppers on each table. 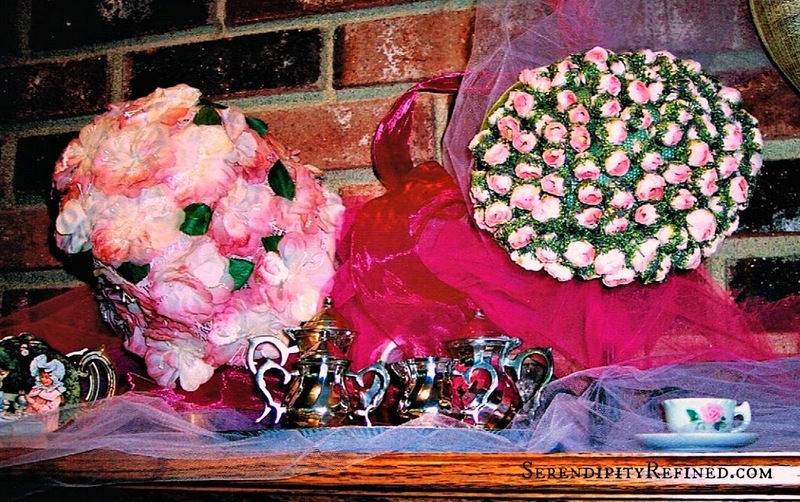 Leslie had saved Anne's childhood tea sets and a collection of vintage ladie's hats, purses and gloves which we used as decorations along with yards and yards of tulle and picot-edged ribbon in two shades of pink and moss green. My sweet, vinage-loving young girlfriend, Anne used chalkboard paint to paint clay flower pots which she personalized with each guest's name and filled with alyssum and moss to serve as placecards. My silver tea pots were filled with fresh flowers and used on the buffet table. Each place also had a vintage tea cup, saucer and vintage silver spoon and each table had a different vintage teapot. 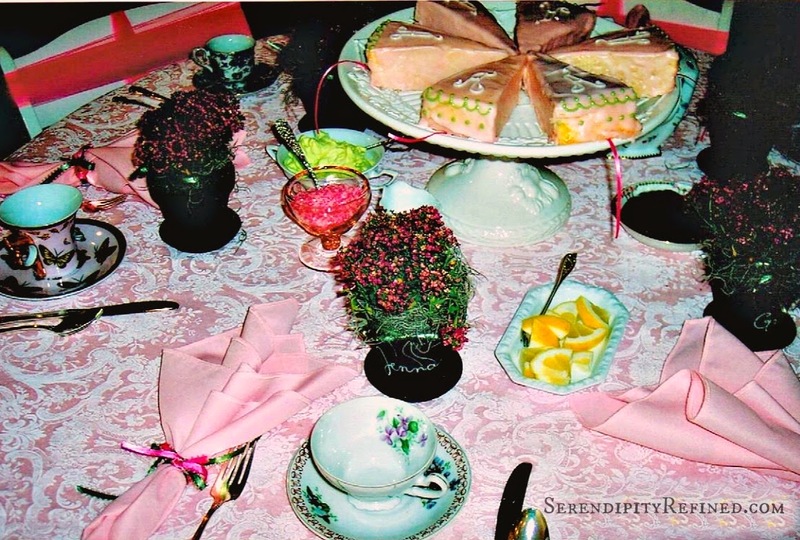 The girls dined on scones and finger sandwiches while the sipped tea and pink lemonade. 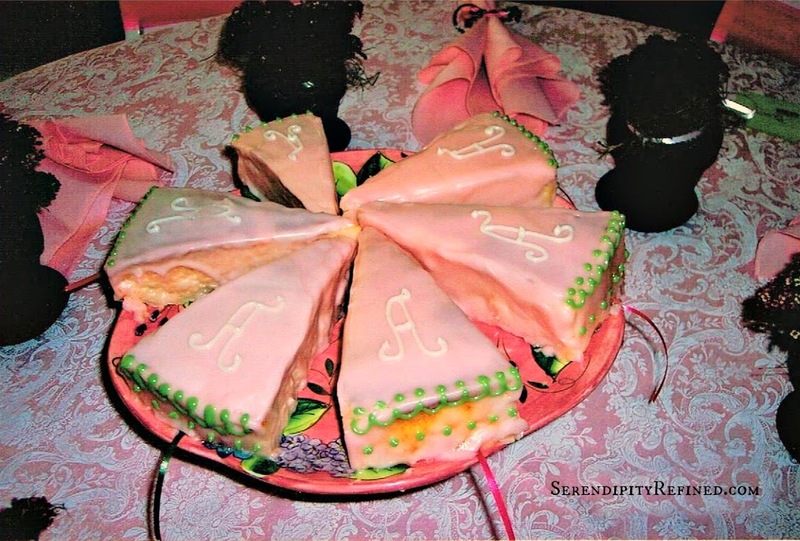 The centerpiece for each table was a vintage cake stand which held individual slices of lemon pound cake with pink glaze and Anne's monogram. 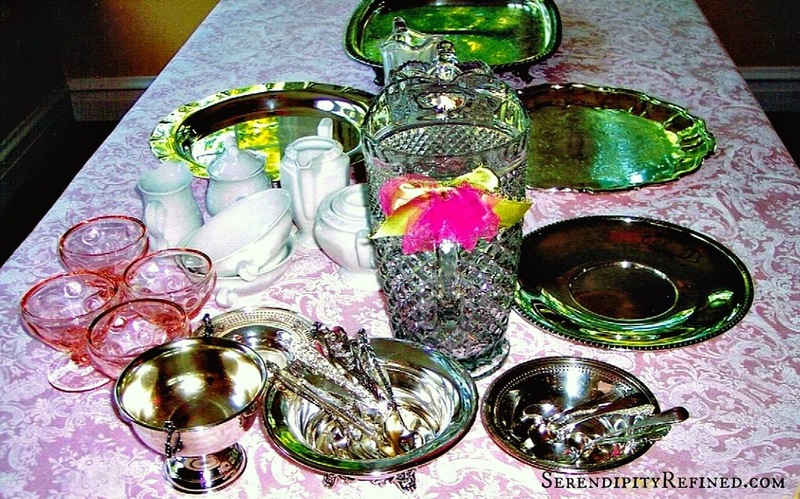 beneath each slice of cake was a ribbon to which was tied a small silver charm representing Anne's interests which the girls took home along with a "tussie mussie" filled with dried rosebuds which was tied to the back of each chair. 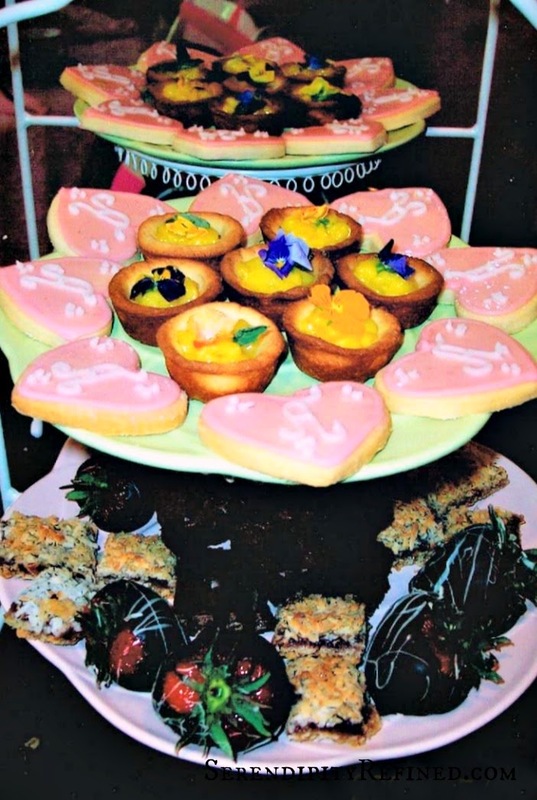 There was also a sweet table that featured lemon curd tartlets with edible violets, chocolate dipped strawberries, pink and white heart shaped, monogrammed shortbread cookies, and other favorite sweets which Anne chose. I didn't stay for the party due to another commitment but I do happen to know that it was a lovely afternoon where memories were made that will last a lifetime and I'm so thrilled to have been a part of this special day for both my friend Leslie and her daughter, my sweet "girlfriend", Anne. 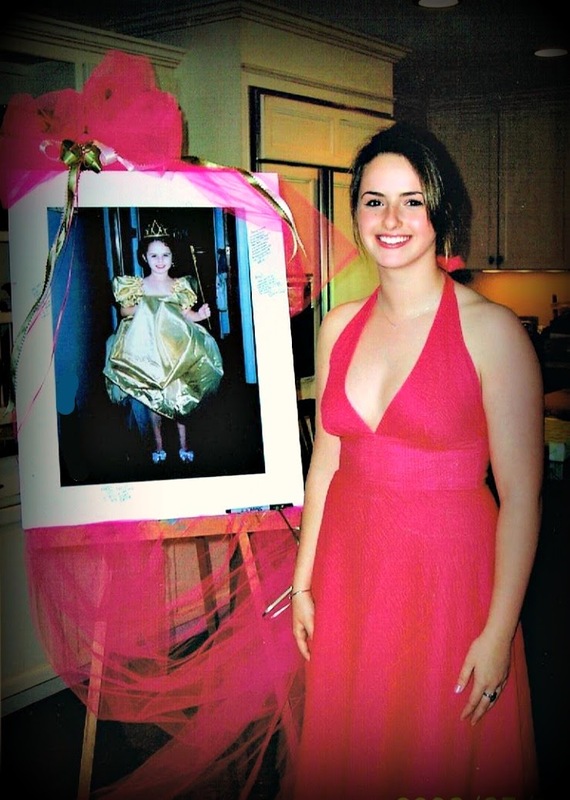 Here's a photo of the birthday girl standing next to a photo of her which was enlarged and mounted for all of the guests to sign. So, my message to you on this May day is this: Seize the opportunity which the month of May provides to celebrate the ladies in your life! 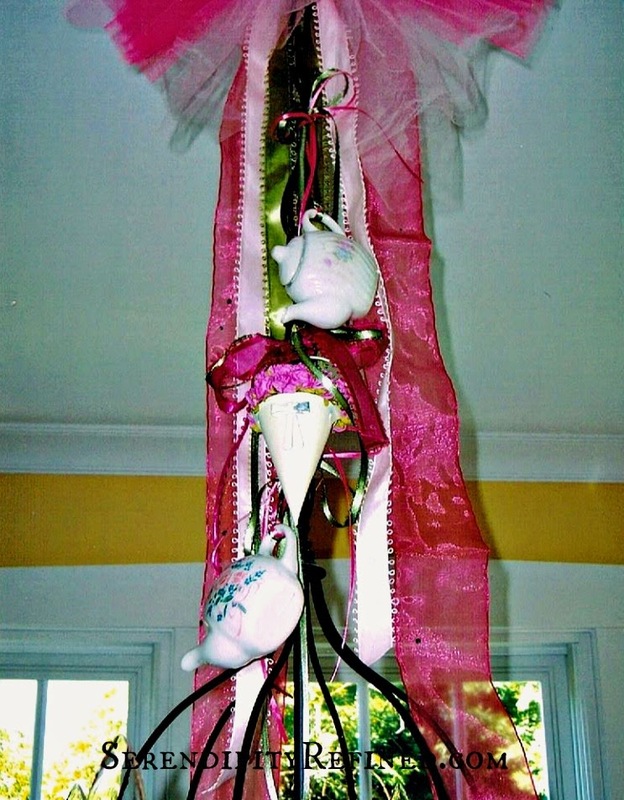 Make a pot of tea, get out a china cup, bake a cookie or two, wear something pink and have a sweet tea party.... whether your 16...or not! Happy Birthday, Miss Anne. I love you and I know that your mom would be so proud of the beautiful young woman that you've become. You remind me more of her each day and I'm blessed to have watched you grow and to have you as a dear friend!